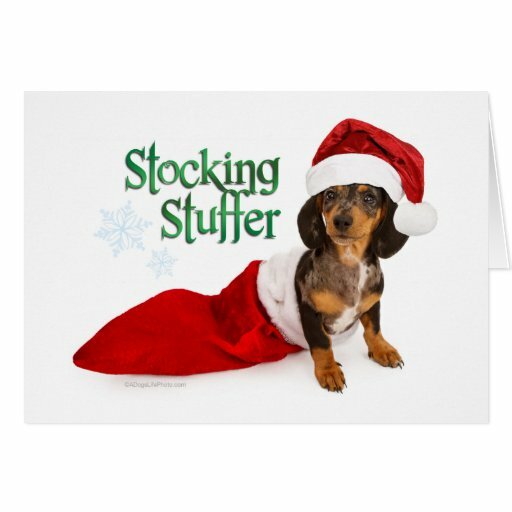 Louanne Cox, owner of this website, is a participant in the Amazon Services LLC Associates Program, an affiliate advertising program designed to provide a means for sites to earn advertising fees by advertising and linking to amazon.com. 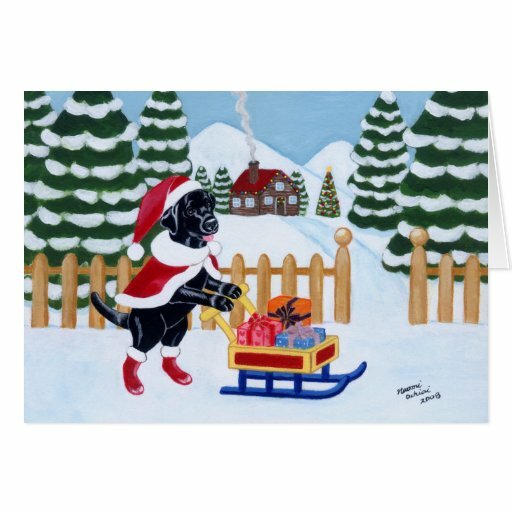 Amazon isn't my only source of income, my main source of income on this site is Zazzle. 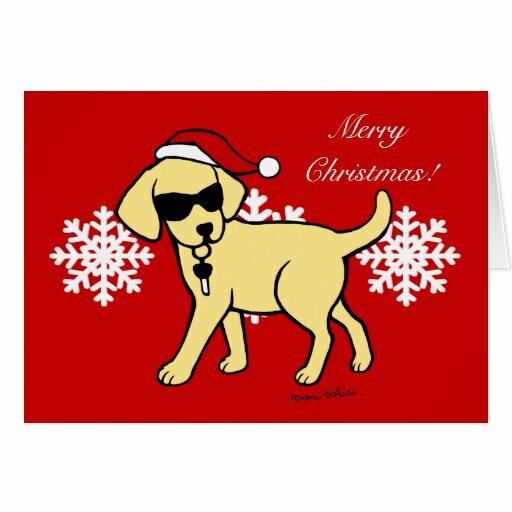 You can read my full affiliate disclosure and privacy notice here. 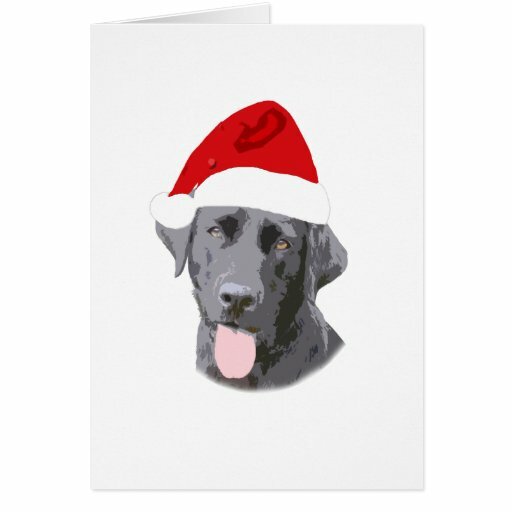 I defy you to look at these Labrador Xmas cards and not find them absolutely irresistible. 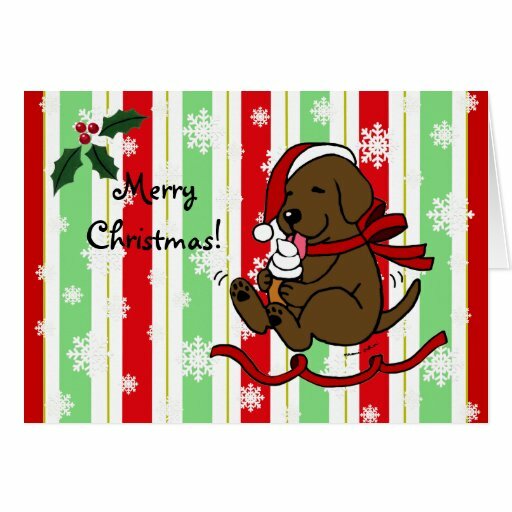 There’s just something about Labradors that even the hardest hearted person we know can’t help but smile when they see one (I think it’s to do with their pleading eyes) and when you see them dressed up for the holidays or indulging in Christmas fun, well you just have to enjoy it! 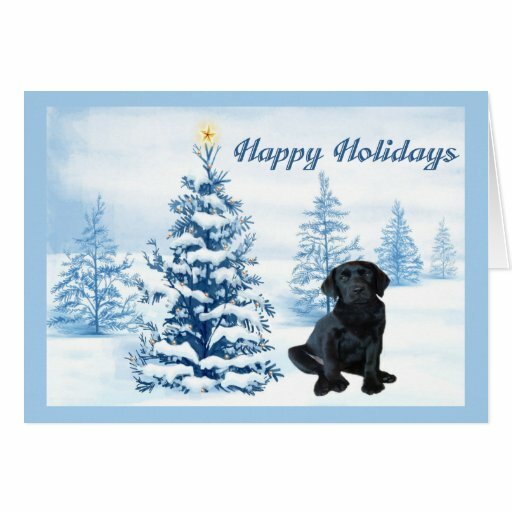 It’s so hard to choose just one gorgeous black lab card in among this cute selection, but I do have to say that the card above with the close up of the black lab with the words Happy Holidays and the snow effects is probably my favorite. 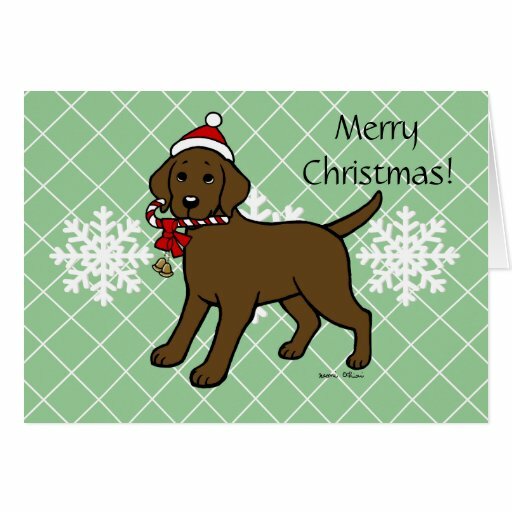 There’s just something extra special about that particular lab that tugs at my heart strings and wants me to give him a home! 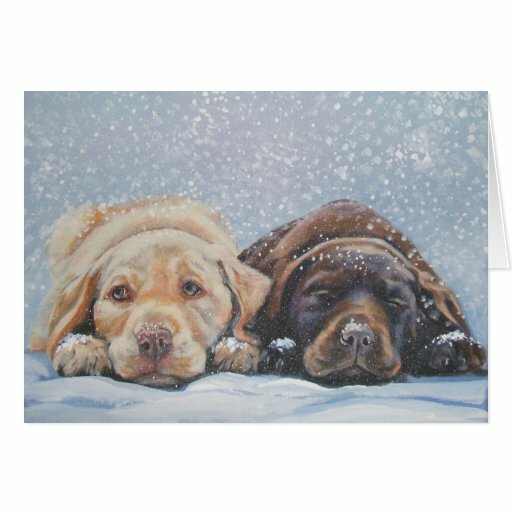 Golden Retriever Labradors and Yellow Labs are equally as gorgeous as the black ones as these cards show. 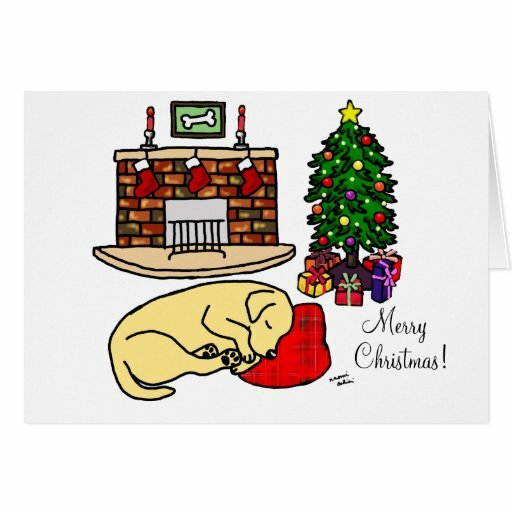 Whichever type of Labrador you prefer one thing is for sure, they’re all full of Christmas mischief ……I mean cheer! 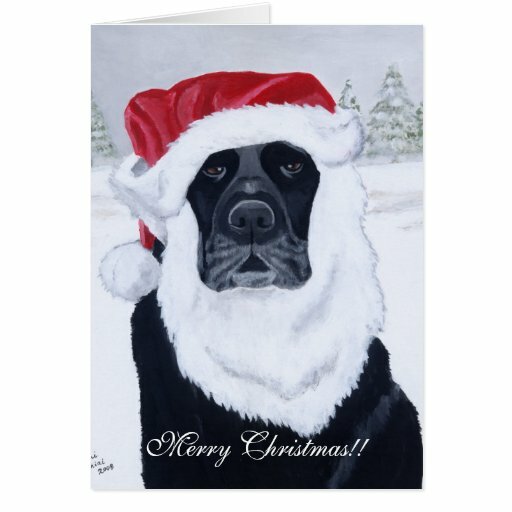 My Favorite Type of Lab! 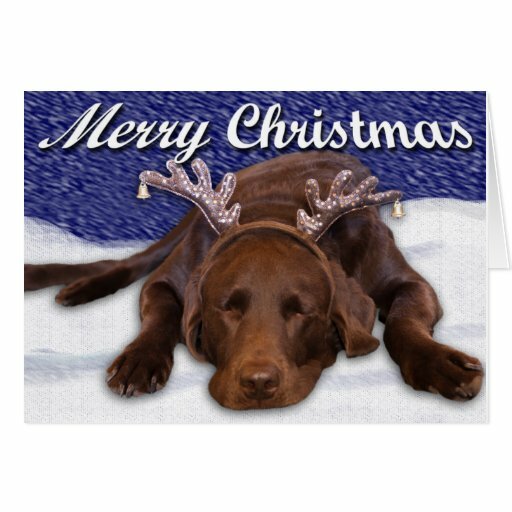 The best Lab of all has to be the Chocolate Lab, the color of it’s coat combined with those big eyes are impossible to resist! 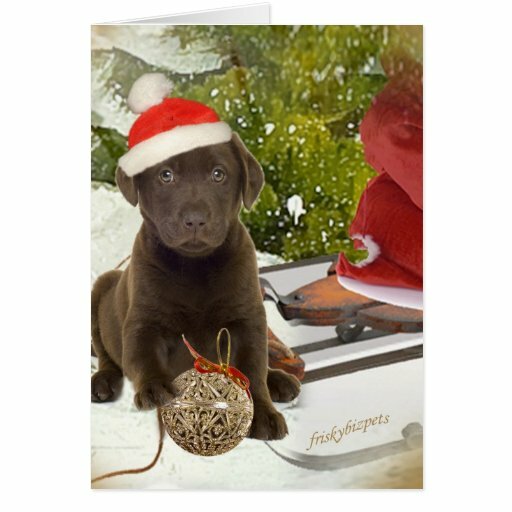 If you’re a Chocolate Lab lover then you’ll enjoy this selection of Christmas cards. 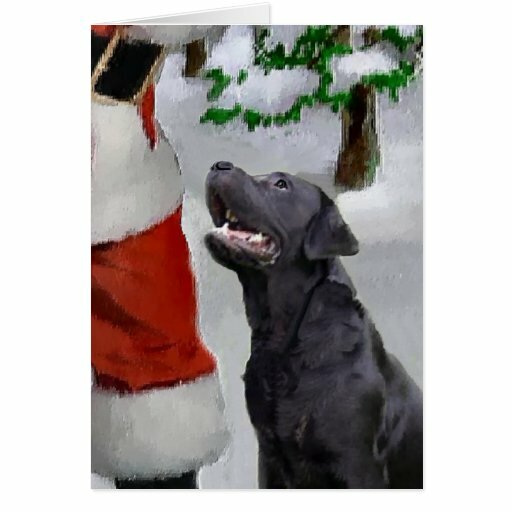 If you can’t decide on what type of lab you prefer then what about getting a card that encompasses a mix of them like the ones I’ve compiled here. 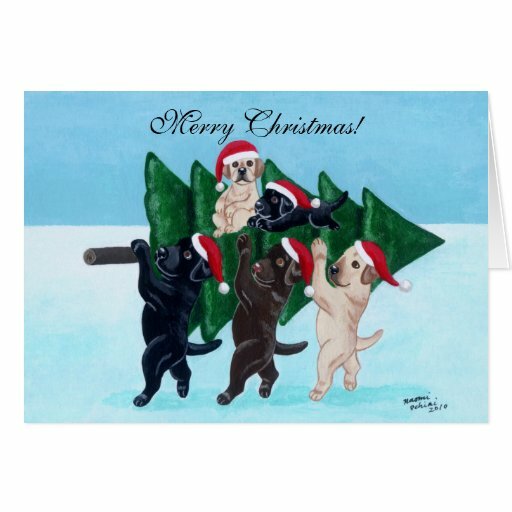 They are so gorgeous, I particularly think that the one with the three different type of labs from their tail end (as they’re diving into their gifts) is a particularly fun card. 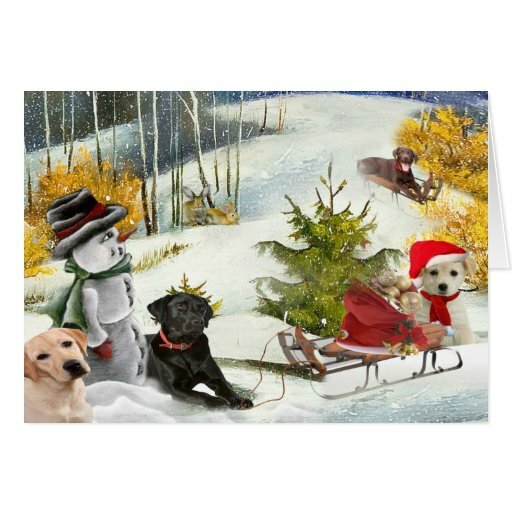 My daughter has totally fallen in love with the three lab pups in Christmas stockings – cute and festive, what could be better? Note: The author may receive a commission from purchases made using links found in this article – more information can be found on our disclosure page. 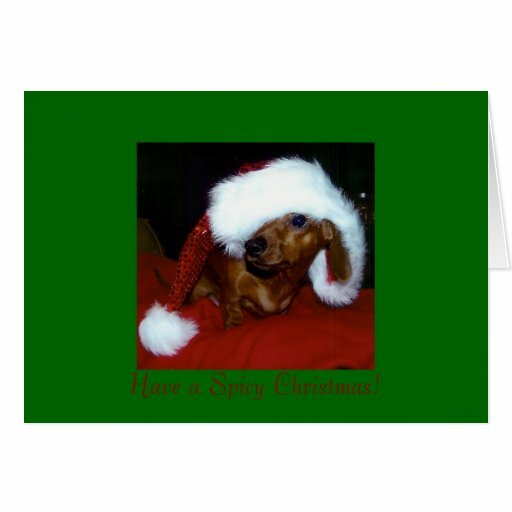 Dachshund Christmas cards are extremely popular dog Christmas cards, probably because of the popularity of this dog with the many names – weiner, sausage dog, doxie. 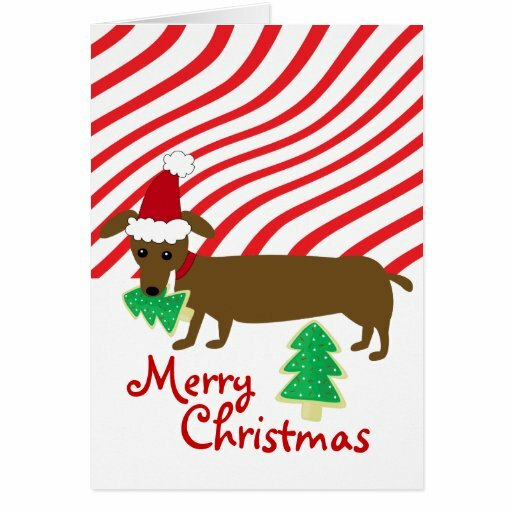 Go straight to a huge collection of Sausage Dog Christmas cards if you’re in a hurry, otherwise keep reading for a personally selected collection of doxie greeting cards. 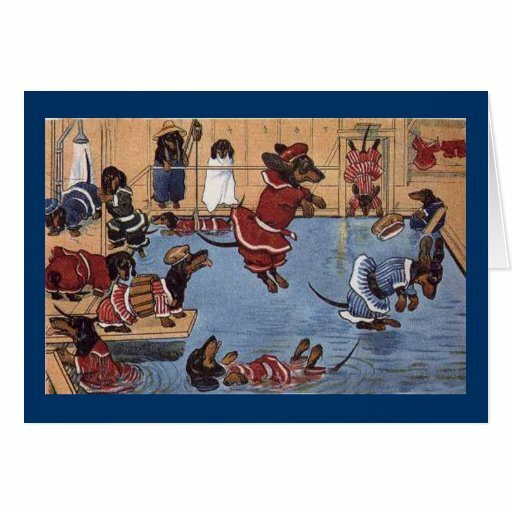 Dachshunds have been a popular breed of dog for a long time now, in fact historians believe that doxies can be traced back to Ancient Egypt, this means that we can even find Vintage Dachshund Christmas cards to send to people we love this holiday season. 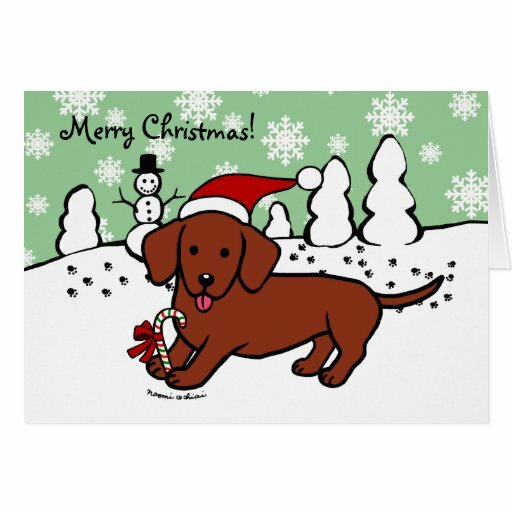 I absolutely adore this Christmas card – a Dachshund Snowman (or is that a Dachshund Snowdog?) 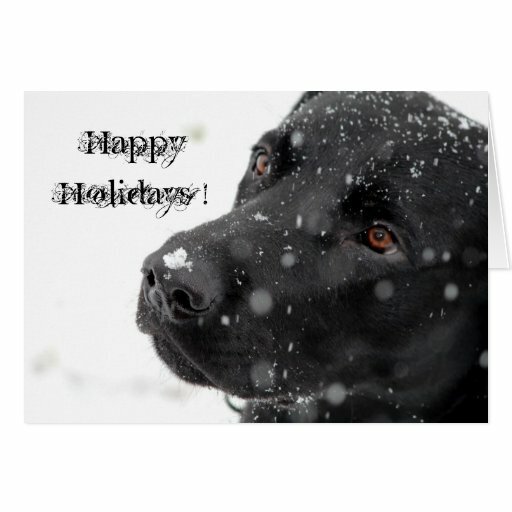 is a gorgeous idea and I think it really says Christmas and the Holidays. 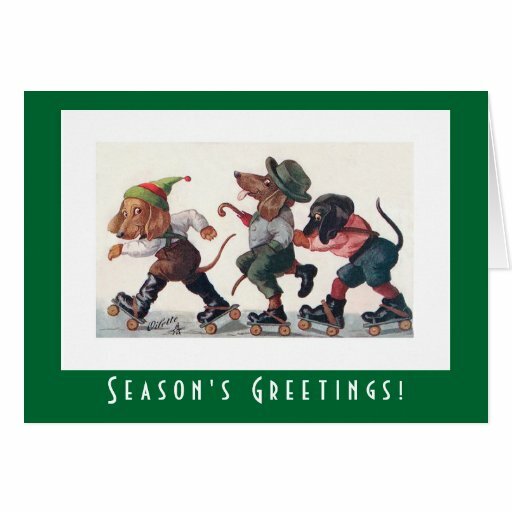 The image on this card also has a vintage feel which is very popular with Christmas cards, throw in the Dachshund angle and why would you look at any other Christmas card? 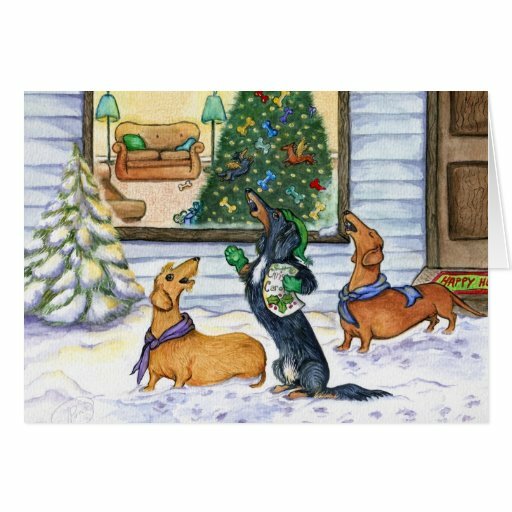 If you like the idea of a Dachshund Christmas card that also involves the snow, but you’re not sure about the Snow Dachshund, not to worry there are a few other fun ones to choose from. 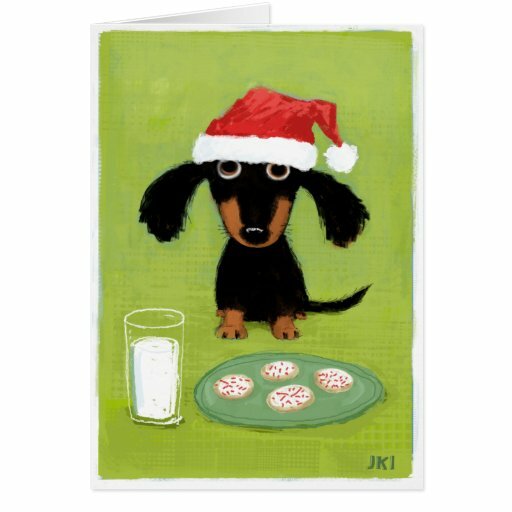 These following cards are just crying out for me to start singing ‘dachshund through the snow’, luckily you can’t hear me as you read this! 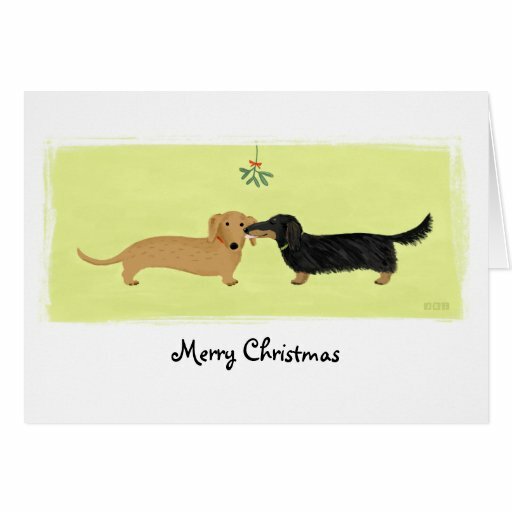 If you like the look of vintage Christmas cards then you can combine your love of vintage with your love of Doxies with these cool cards. 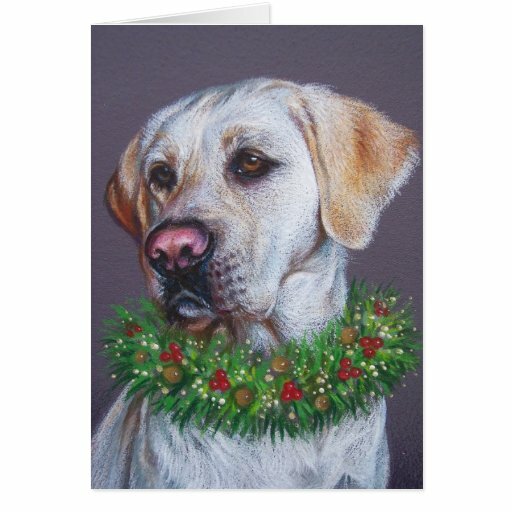 There’s something pretty special about these next cards – and very elegant as well. 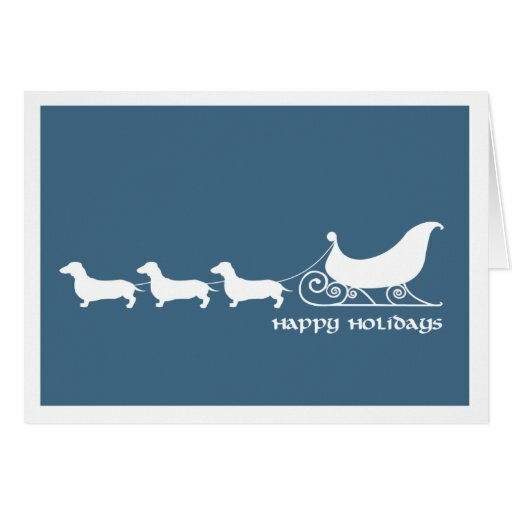 I particularly like the first one (the shade of blue automatically makes me feel like it’s a sophisticated card) with the weiner dogs pulling the sleigh – I think it’s gorgeous. 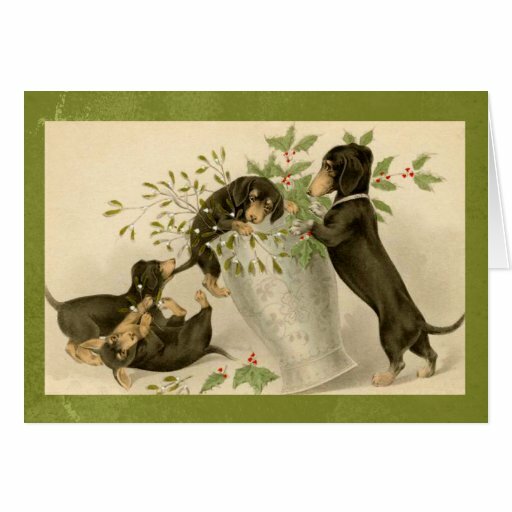 The second one got the word ‘cute’ from my daughter, but I think the vintage feel to it takes it to a whole new level than just two dachshunds under the mistletoe. 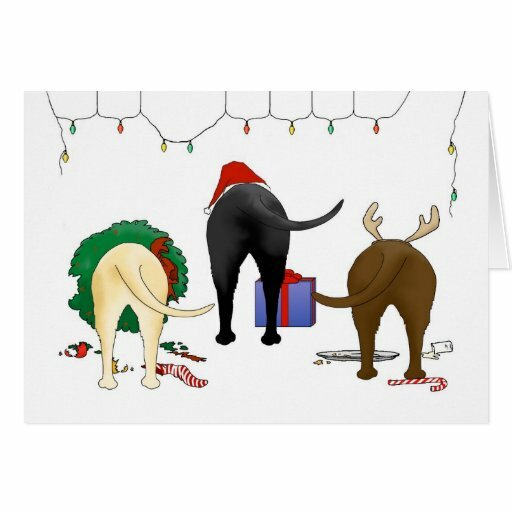 Personally I’ve always loved funny Christmas cards and my hubby’s a real joker so he loves getting fun cards too. 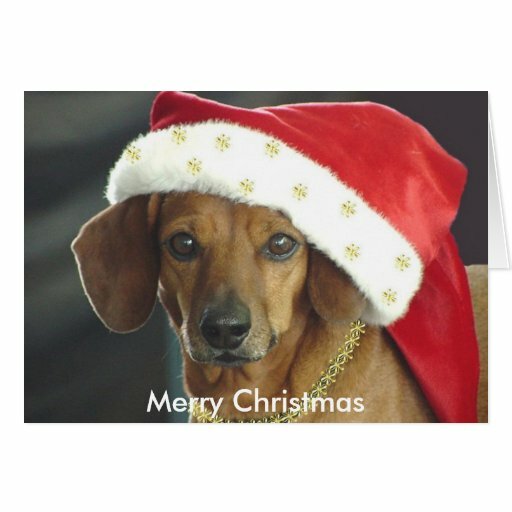 These are some of the best doxie Christmas cards I could find that have that sense of fun incorporated. 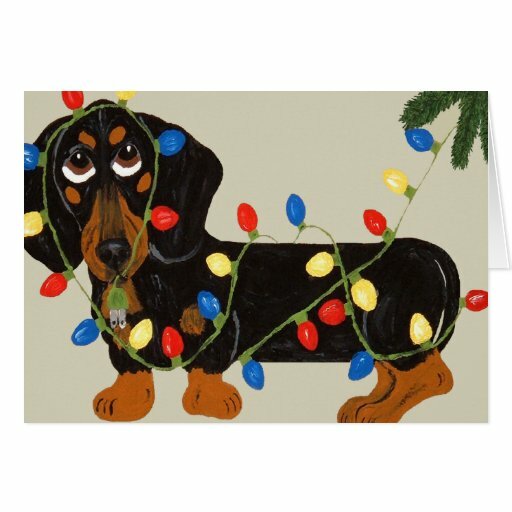 My daughter loves the Santa’s Little Helper card (probably because it reminds her of the Simpsons), but for me I like the dog tangled up in Christmas lights – it might be a doxie, but it could easily have been a couple of the different dogs I’ve owned in the past! 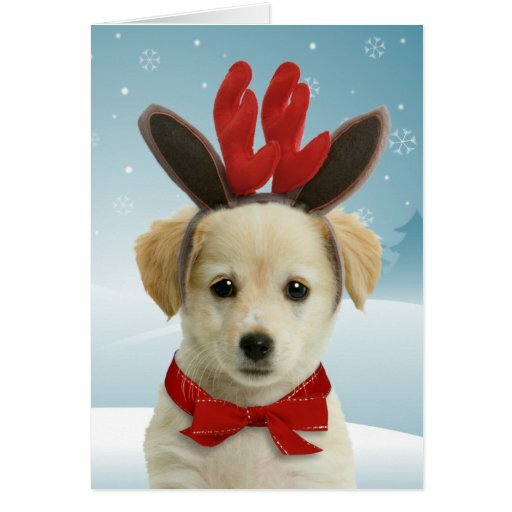 Which of these cards do you prefer? 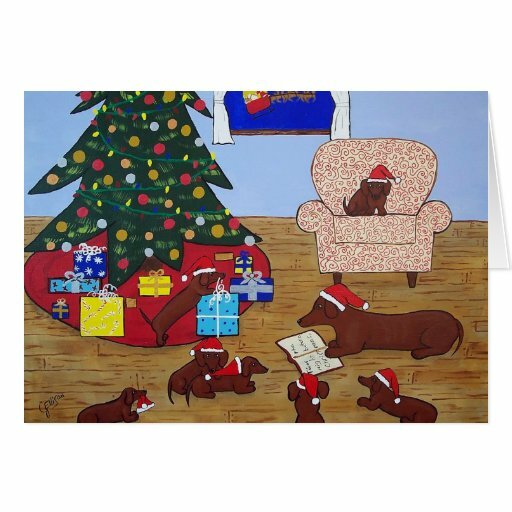 These Weiner dog images are so cute that if you don’t own a dachshund now you’ll certainly want to! 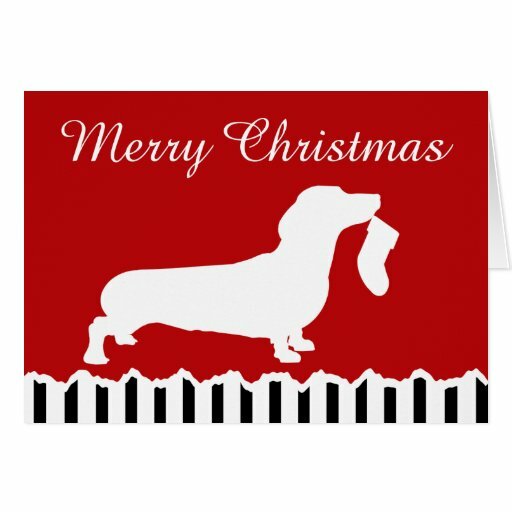 Personally I’ve never owned a dachshund, but my hubby has fond memories of a family dachshund when he was growing up and has shared some lovely stories. 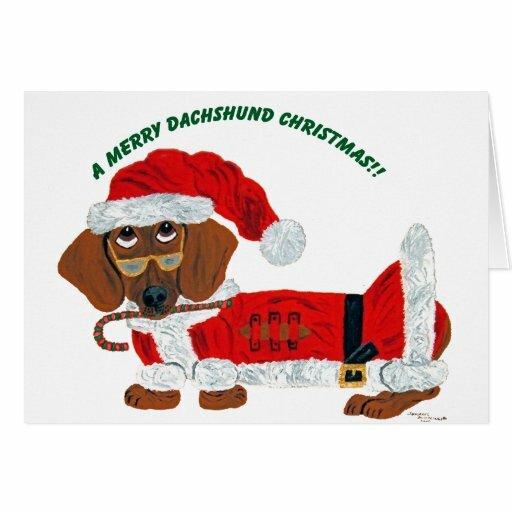 A friend of mine also has dachshunds and her present one actually got a bravery award from the police after he saw off a serial attacker who decided to try and pick on her teenage daughter – bad move! 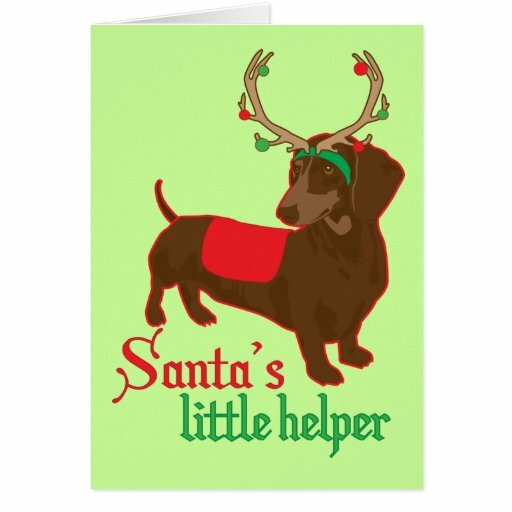 I must admit seeing the size of the dachshund and the attacker once he was caught I did have a little chuckle to myself as to how funny it would’ve looked (in retrospect of course, knowing that everyone was fine). 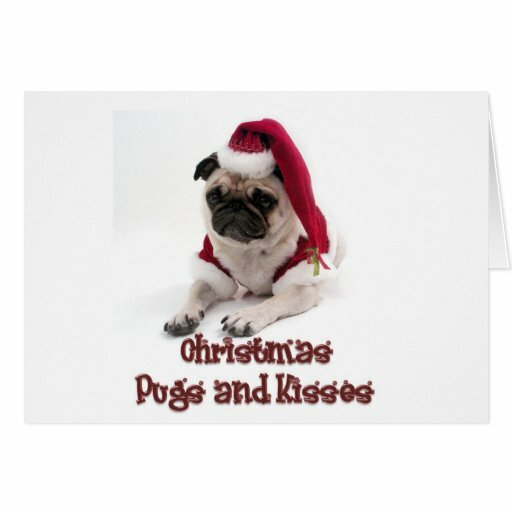 Adorable Pug Christmas Cards to Fall in Love With! 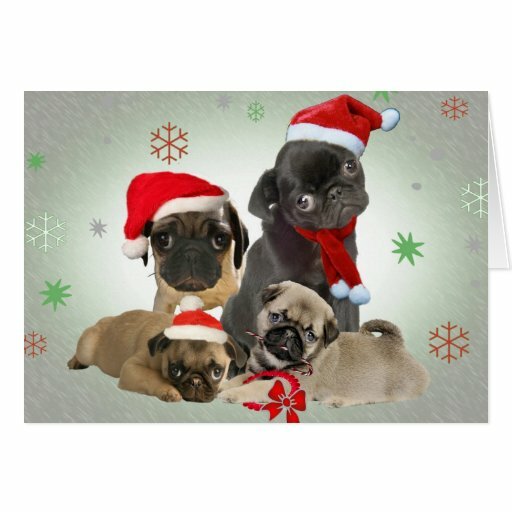 Who Wouldn’t Want a Pug Christmas Card? 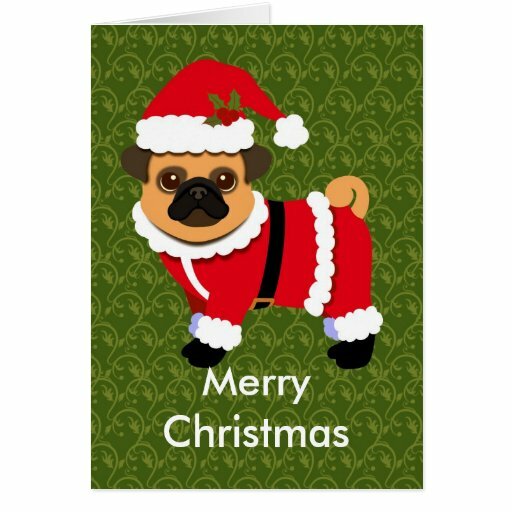 Let’s face it if you are after a gorgeous Christmas greeting card then you can’t go past one of the pug Christmas cards on offer. 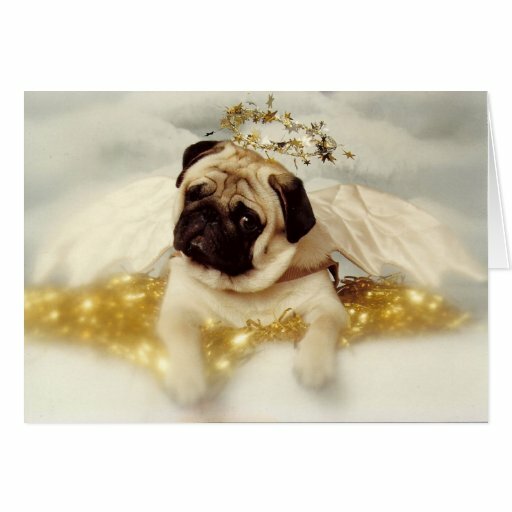 Pugs as a breed are gaining in popularity and when you look at them it’s easy to see why, they are in a word adorable! 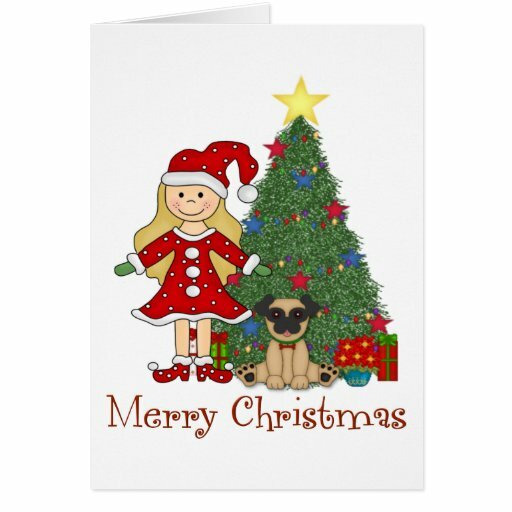 If you’re looking for a cute Christmas card to send to people you can’t really go past a Pug Christmas card. 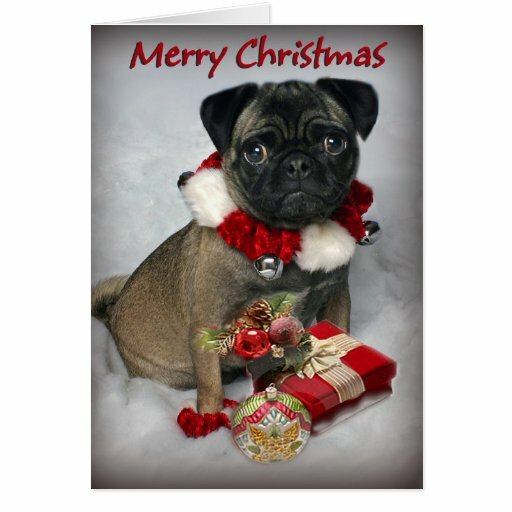 I’m not even a Pug owner and I’m thinking that these cards would be great to send out to all of my friends and family! 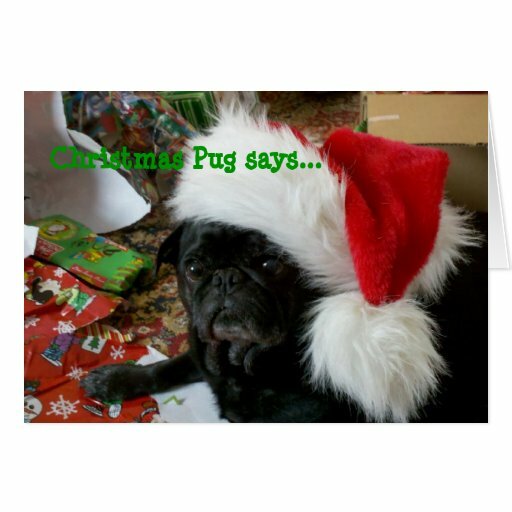 If you have a Pug in your family then what better way could you include them in your holiday celebrations than to use Christmas cards like these ….. and of course leave some treats under the tree for them! 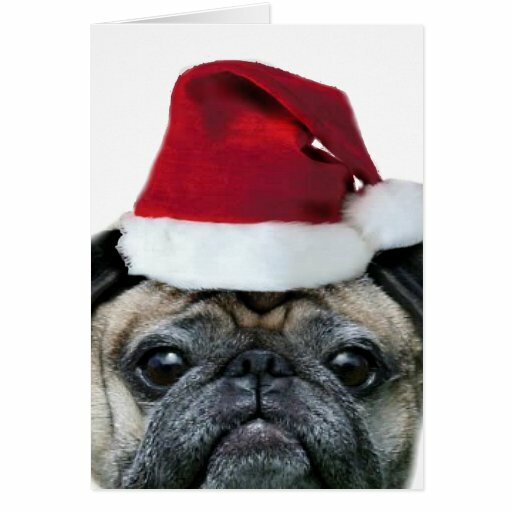 Pugs really do make the most adorable puppies, just check out the gorgeous selection of images on these Christmas cards. 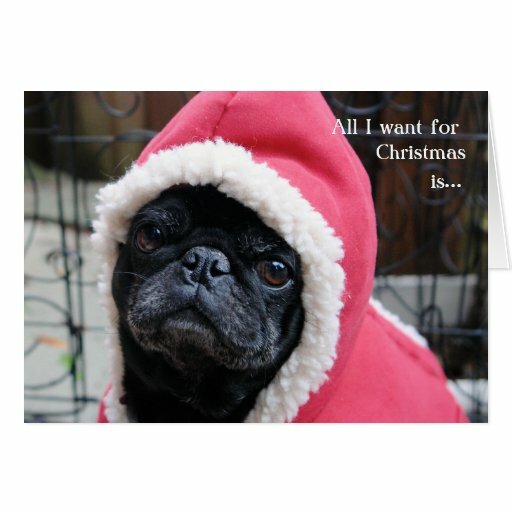 They almost make you want to give a pug puppy this Christmas……however the cards look just as cute and you don’t have to feed them! 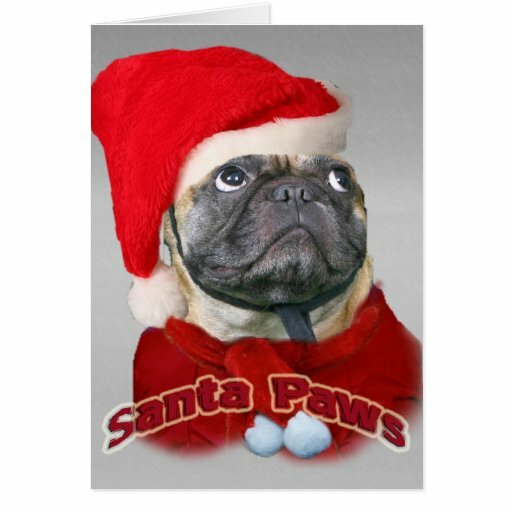 The most well known of the Pugs (and my personal favorites) are the fawn pugs, but did you know that there are also Black Pugs? 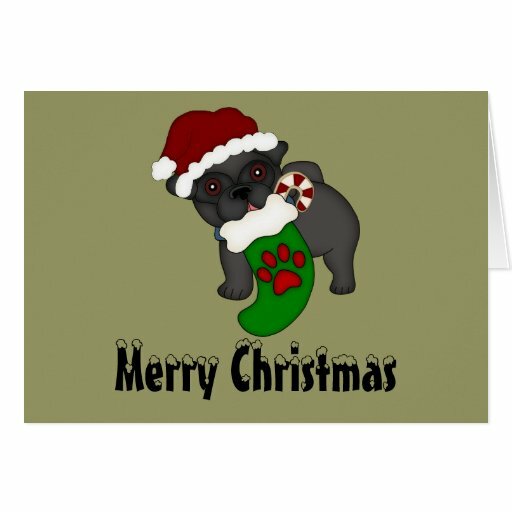 If you have a Black Pug and are looking for a Christmas card to celebrate them with then look no further. 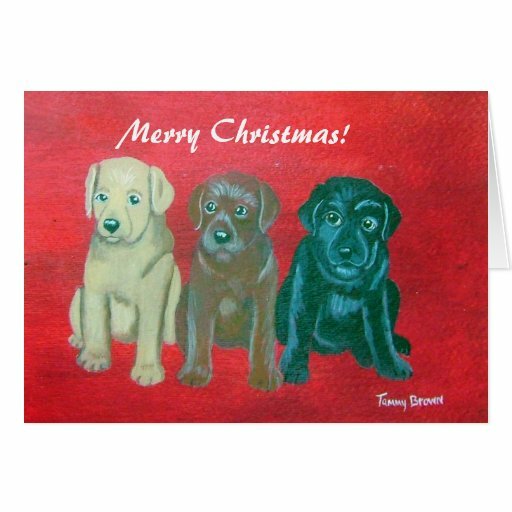 These three cards are absolutely gorgeous, don’t you think? 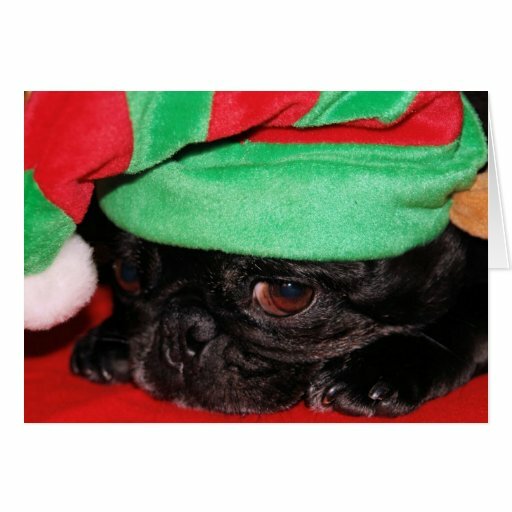 I also think that the black pugs can look more mischievous, don’t you agree? 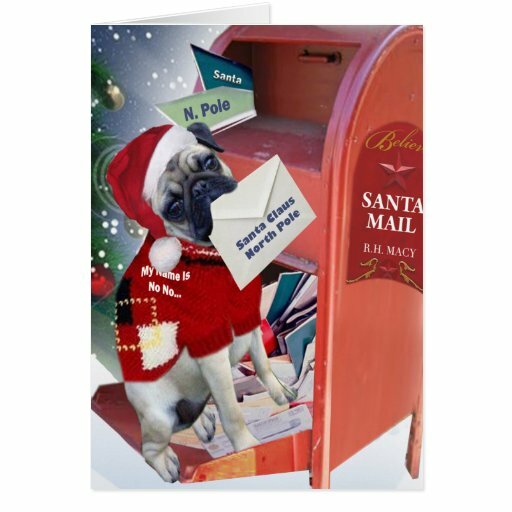 I have a personal bias towards the Fawn Pugs and considering the number of Christmas cards I’ve come across featuring them it would appear I’m not alone. 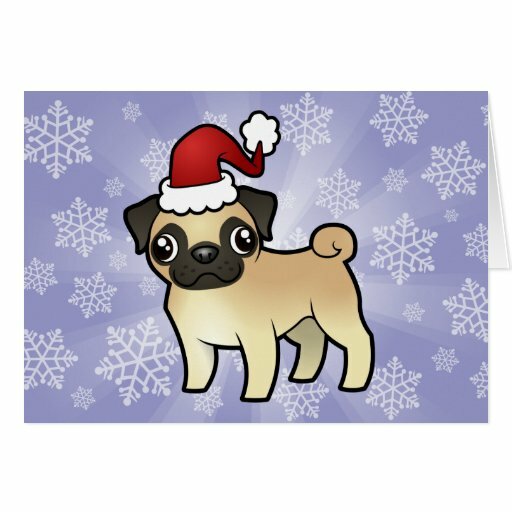 Here are just a few of the cute fawn pug Christmas cards I’ve found online, it’s lucky there’s a limit on how many dogs you can own where I live or I’d be asking for a Pug for Christmas! 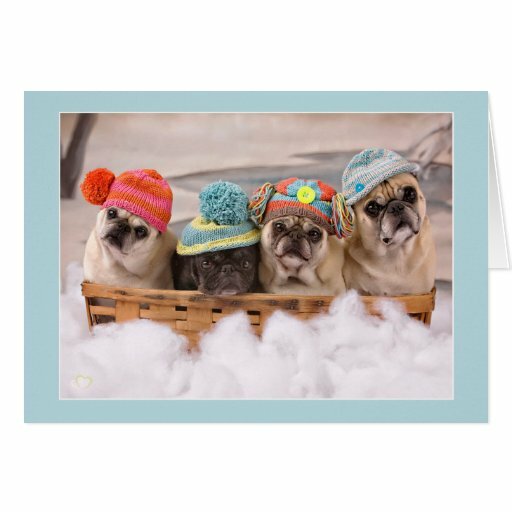 Pug greeting cards are always a great idea, but the holidays are even more perfect for them because of their natural ‘bah humbug’ style impressions! 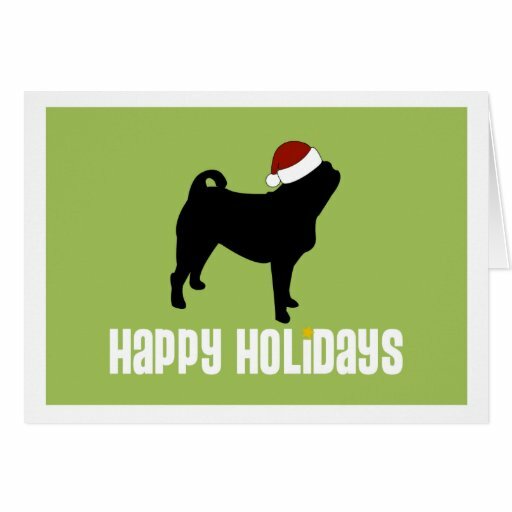 Ring in the Holidays in Pugilicious Style! 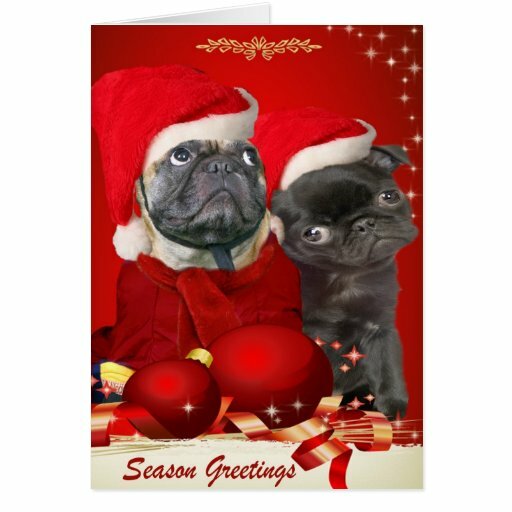 Like Black & Fawn Pugs? 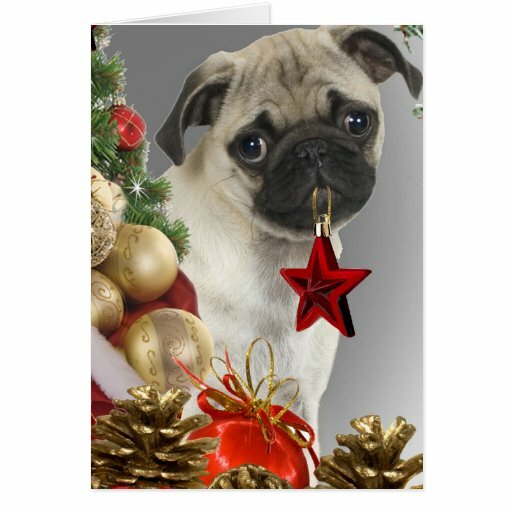 If you like both types of Pugs then you’ll love one of these pug Christmas greeting cards that features both Black & Fawn varieties. 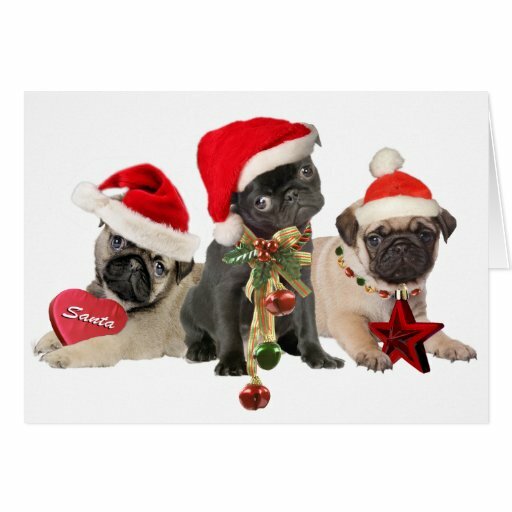 I do love the look of absolute innocence on the Black Pug puppy in the (first) Santa Hat, you can almost hear him saying, ‘who me?’ when asked who woofed up the Christmas ham! 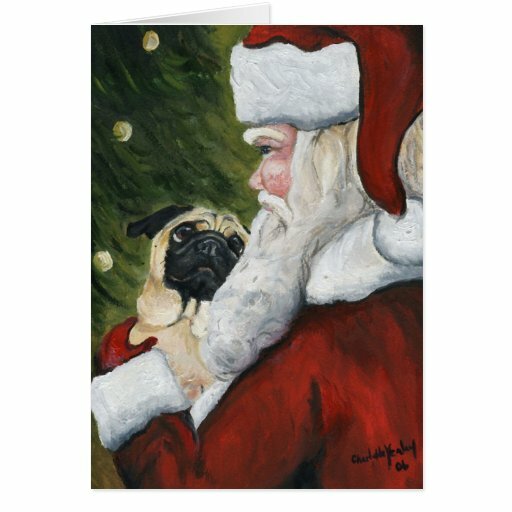 Posted on April 19, 2015 January 24, 2017 Categories Christmas CardsTags christmas cards, dog christmas cards, dog greeting cards, pug greeting cardsLeave a comment on Adorable Pug Christmas Cards to Fall in Love With!